The short-wheelbase (three-door) version was sold as the Isuzu MU and Honda Jazz in Japan, with the names Isuzu Amigo and later Isuzu Rodeo Sport used in the United States. Throughout continental Europe, the three-door was called Opel Frontera Sport, with the Vauxhall Frontera Sport title used in the United Kingdom, and Holden Frontera Sport in Australasia. This is the COMPLETE official full factory service repair manual from ISUZU for the AMIGO. 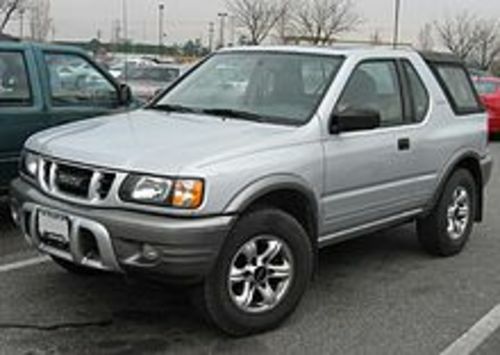 Production model years 1998 1999 200 2001 2002 2003. All styles covered. Hundreds of pages allow you to print it out in its entirety or just the pages you need!! This file is sold by gearheadred, an independent seller on Tradebit.